This image shows the view from the M/V Ocean Wind as the ship transits down the Mississippi River. 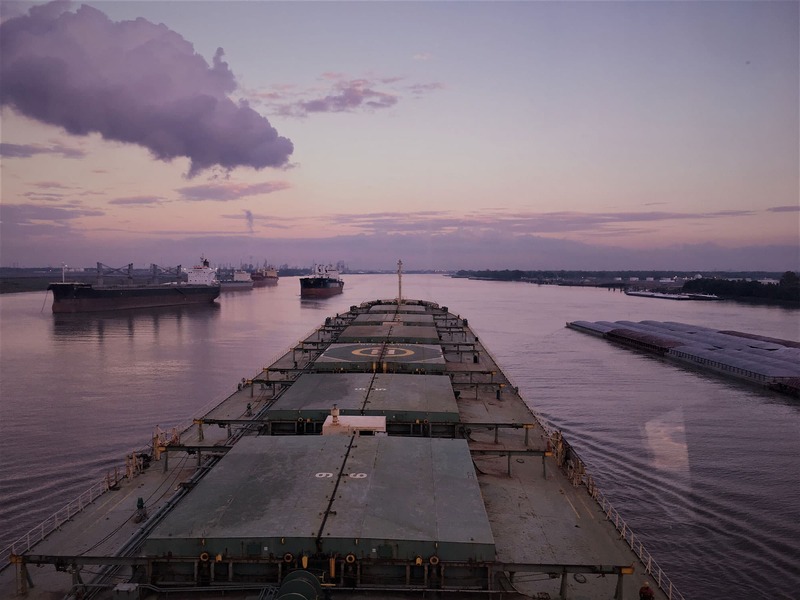 More than 10,000 ships pass through the port complexes between New Orleans to Baton Rouge each year. This region is the most congested waterway in the world. NOAA's Office of Coast Survey plans to begin surveying the Mississippi River in 2018 to update nautical charts.